If your pet is coming along for the ride on your next adventure, there’s probably a good chance that they’ll be spending at least a little bit of time in the car. To make the journey as enjoyable as the destination, we’ve put together a list of our top tips for traveling in the car with your pet. Regardless of the distance that you’re traveling, it’s important that your pet is safely secured. 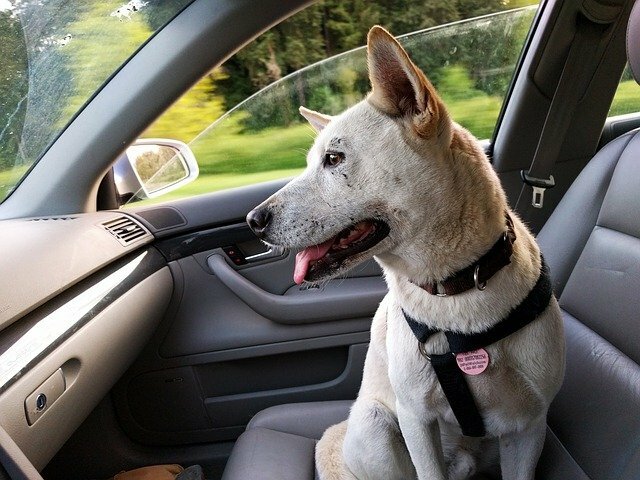 Just like you wouldn’t drive without a seatbelt, your pet shouldn’t be loose inside your car. The best option is to place them inside a secure, crash-proof carrier that is large enough for them to stand, sit, lie down, and turn around in. If having your pet in a carrier isn’t an option, there are also a number of seatbelt-like restraints that will keep them safe and secure in their seat. 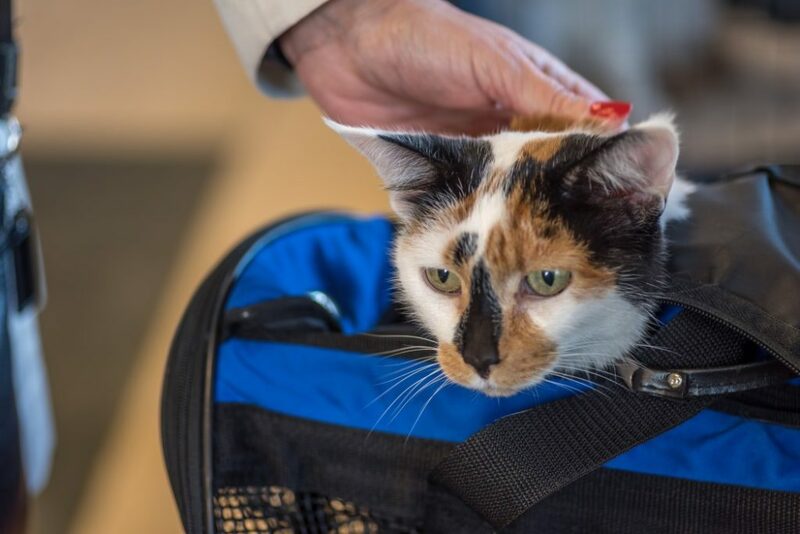 Unfortunately, pets do escape while traveling, so it’s important that you do everything you can to make sure they find their way back to you. This means making sure their microchip information is up-to-date or make your own old-school ID tag. This ID tag should be securely attached to their collar and outline all critical information, such as your pet’s name and your contact details. Before you hit the road, make sure you have a bag with everything your pet might need for your travels. This should include everything from vaccination records and pet first aid supplies to bowls and toys. It’s also a good idea to put their favorite blanket or pillow inside their carrier so they are comforted by the familiar smell of home. Cat owners will also want to pick up a few disposable litter trays to use. If the litter tray is drastically different than the one they use at home, it’s a good idea to let them use it a few times at home to get used to it and avoid any accidents en route. 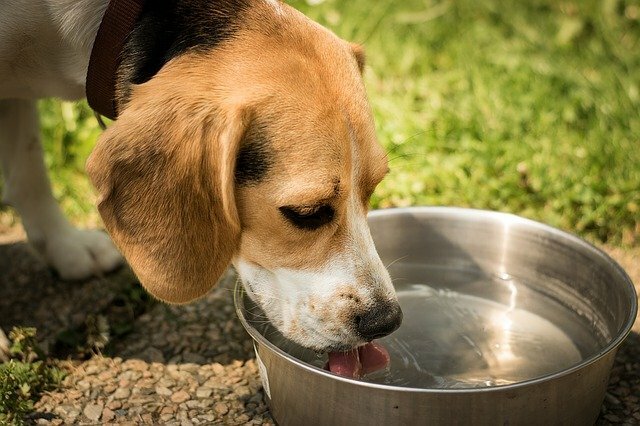 Whether you’re making a pit stop or still on the road, your pet needs regular access to water – especially during the warmer months. If your pet is traveling in a crate, look for a bowl that can be attached to the door or be placed on the floor if there’s enough room. 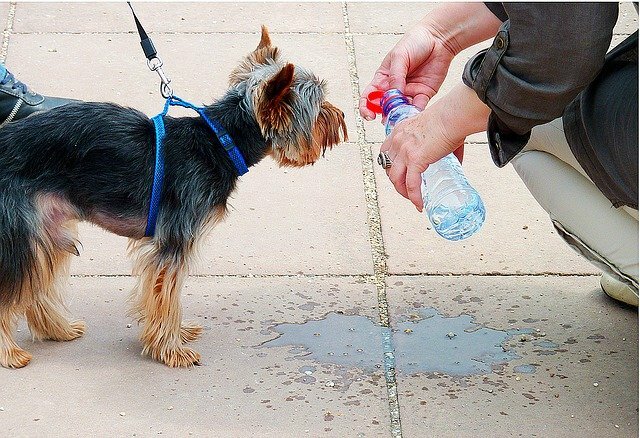 Alternatively, you can find a travel bowl or bottle that can be filled and offered to your pet when they’re thirsty. As much as your pup would love to ride with their head outside the window, please refrain from allowing them to do so. When your pup leans out the window they are at risk of being injured by flying objects or, even worse, falling out of the vehicle. If they’d like a little bit of fresh air, you can always roll down the windows enough for them to be able to poke their noses out a little. Even if you’re able to get some fresh air during the drive, frequent breaks are still a must. Similar to traveling with kids, you’ll want to stop every two to three hours so your pet is able to stretch their legs and take a bathroom break. During your stops, make sure that your pet is either on a leash or in a secure area where they cannot escape – in both situations make sure that they have their ID tag on. If your have further questions or concerns about traveling with your pet, speak to your veterinarian. They’ll be able to provide you with trips and tricks for making the experience enjoyable for two and four-legged travelers alike.